Who Invented Ice-cream? - Who Invented? / FOOD / Who Invented Ice-cream? 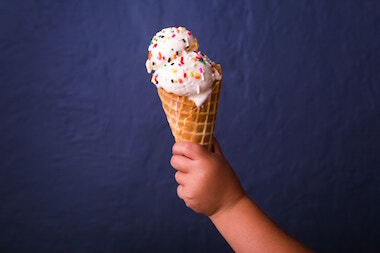 The Chinese (probably) – Nobody is attributed as the inventor of ice-cream. Reference to ice-cream or a similar product go back as far as 2,000 years BC. Records show that Alexander the Great was partial to consuming snow flavoured with honey and during the Roman Empire Nero Claudius Caesar enjoyed snow flavoured with fruit and juices. There is also mention that the Chinese King Tang of Shang had a team of ice-men who created a combination of buffalo milk, camphor and flour in 618-97 AD. Over a thousand years later there are stories that Marco-Polo saw it being made in China and brought the method and recipe back to introduce to Italy. The common historical belief is that ice-cream evolved sometime in the 16th Century and began appearing at the tables of the aristocracy of Italy, France and England during the 16th and 17th Centuries. It wasn’t until 1660 that ice cream became available to the public with the first ice cream café, Procope Café opening in Paris, France. The Sicilian, Procopio had developed a recipe which blended milk, cream, butter and eggs and this was what he sold at the café. Ice cream became popular in the 18th century with the first advertisement for ice cream being published in The New York Gazette in the 1777. In 1843 Nancy Johnson designed the first hand-crank ice cream making machine and was awarded the patent for it. Mass production of ice cream started shortly after in 1851 by Jacob Fussell, the milk dealer, who started the manufacture of ice cream originally to utilise the daily excess of cream. This started the spread of mass production which made ice cream much more affordable for all. The introduction of ice cream soda’s in the 1870’s increased the popularity of ice cream but nothing has impacted more than the development of modern day home refrigeration from the 1950’s which enabled the easy storage of ice cream at home and 20th and 21st Century ice cream making machines help to promote home-made ice cream in addition to the vast amount of brands, types, flavours, shapes and sizes of ice cream available today.